Pro-Tuff Decals has over 25 of years of experience in making quality football helmet decals. 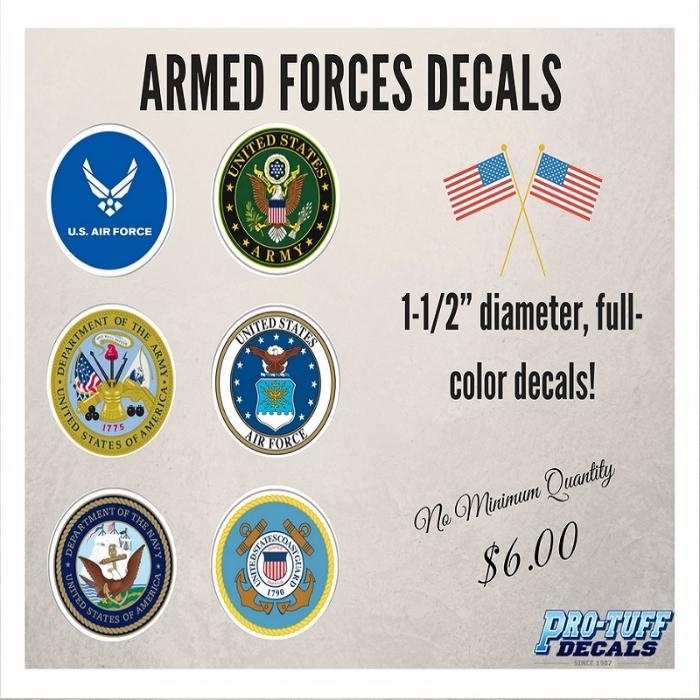 Our decals are made up of thick and tough vinyl Celebrate and commemorate the Armed Forces with on or all of these 1-1/2” diameter, full-color decals! 25 individual designs per sheet. Order now!